The limited edition Digipack version of “Brumlebassen”, which features guest musicians such as Vreth from FINTROLL and Mariangela from TRISTANIA, amongst others, comes with bonus download content that includes 100 minutes of videos, screen savers and MP3s as well as a much requested translation of the lyrics which are normally written in the band’s own mix of Norwegian and German. The download content will be accessible through a unique personalized code which will be printed on each individual Digipack. 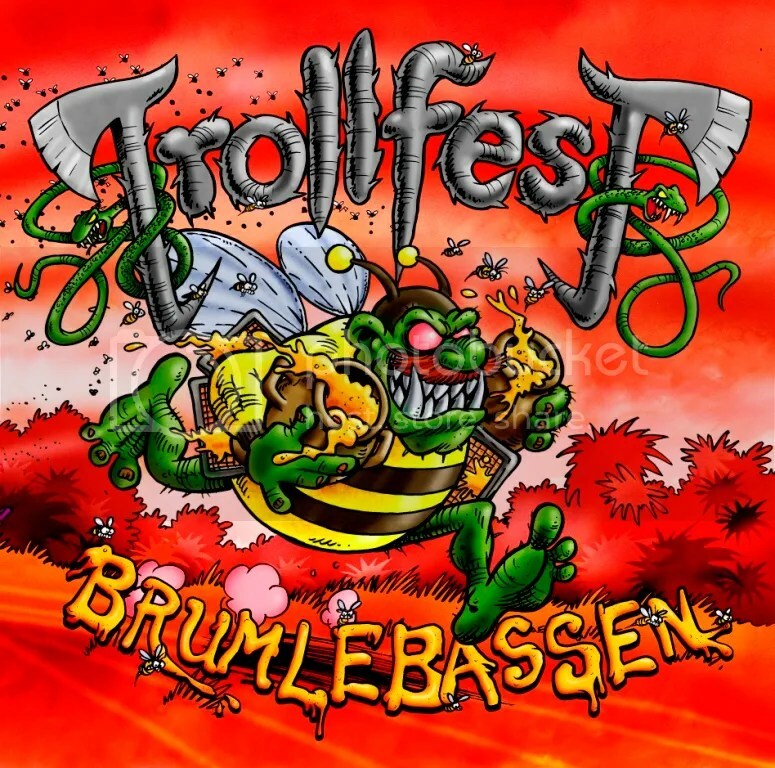 “Brumlebassen” will also be available in Gatefold vinyl format, and, as to be expected from the band, feature storylines and characters from the universe created by TROLLFEST which is inhabited by an assortment of crazy, fun-loving and mead-fuelled trolls, and which is once again brought vividly to life in the artwork of Swedish cartoonist Jonas Darnell who originally created the iconic metal duck from TROLLFEST’s “Villanden” album, and designer Terje Johnsen.